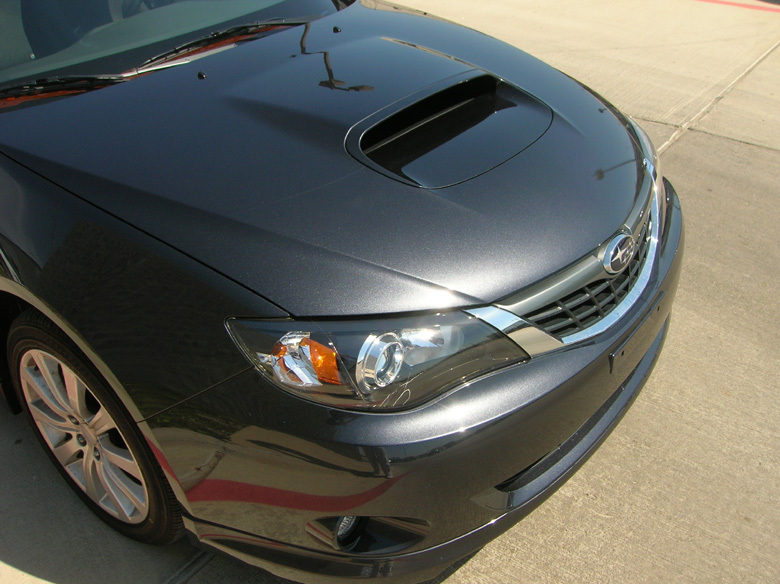 This 2008 Subaru Impreza WRX was protected with our Level Two Paint Protection Package. Prior to the customer taking delivery of their new WRX we protected front portion the hood (to behind the hood scoop - from the back of the scoop diagonally at a 30 degree angle back), matching swooping front fender pieces, and hood scoop. Clearly protected now!